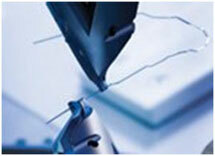 How does robotic wire bending make my treatment more precise? How does SureSmile Treatment Planning Software work? Using SureSmile Treatment Planning Software, your orthodontist can evaluate treatment options, and visualize the desired end result and position for each tooth. The plan allows your orthodontist to design archwires that move teeth in the most direct path to the target without the need for multiple adjustments. The software also allows your orthodontist to digitally evaluate progress during treatment. The OraScanner is a hand-held device that functions much like a 3D digital camera, taking pictures of your teeth using flashing white light. The images create a 3D model in real-time during the scanning procedure. The cost of orthodontic treatment is determined by your individual orthodontist and depends on many factors, including the complexity of your case. Is my orthodontist still in control of my treatment? Absolutely. In fact, with SureSmile your orthodontist has even greater control of treatment, thanks to 3D tools and the accuracy they bring to treatment planning. 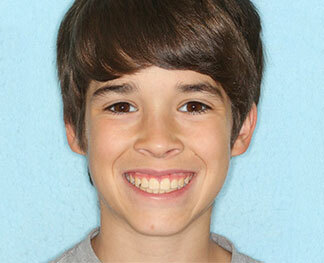 Is SureSmile treatment really less painful than traditional orthodontic treatment? The pain that patients experience during orthodontic treatment is a result of changes in pressure caused by adjusting wires. Patients who use SureSmile treatment experience less pain, because fewer wire adjustments and changes are required. Is there a risk of damaging my teeth because they're moving faster? SureSmile archwires don't move teeth any faster than conventional archwires. The time difference is due to the computerized treatment plan, made possible through 3D imaging. Instead of a continually evolving plan with frequent adjustments, your teeth move along a more direct path to their target positions. Your overall treatment is shorter due to the shorter distance the teeth have to travel. What are SureSmile Shape Memory Alloy archwires? 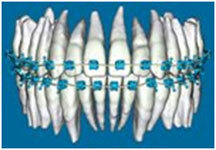 Orthodontists have used Shape Memory Alloy in straight archwires for the last decade. But until the introduction of our robotic process, they haven't been able to shape archwires into customized prescriptions because of the high temperature required for bending the alloy. When robotic hands bend the heated alloy material into customized prescriptions, the archwires deliver precise, constant force to move teeth more directly into target positions.